Now just a few days left until Christmas and not many days left before the New Year bells are ringing for the New Year 2015. So here are consequently the last newsletter that is also a Christmas and New Year greeting to all of you. Some pictures from the "dark season" here in southern Spain. 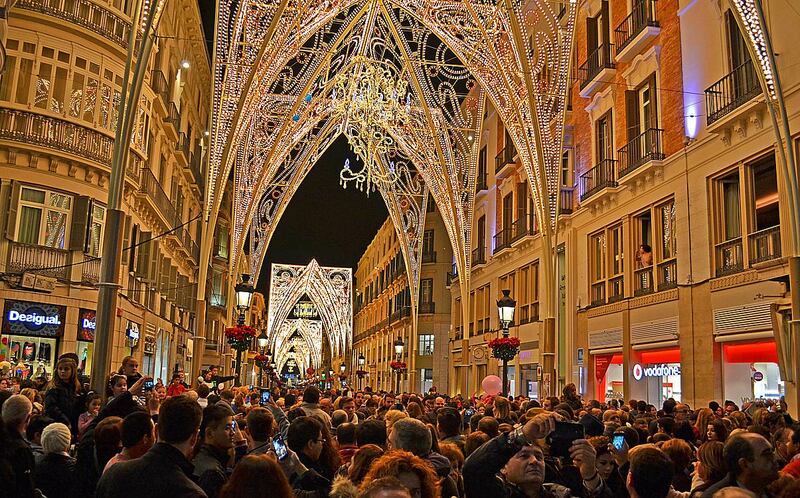 Opening ceremony of the Christmas lights in Málaga. 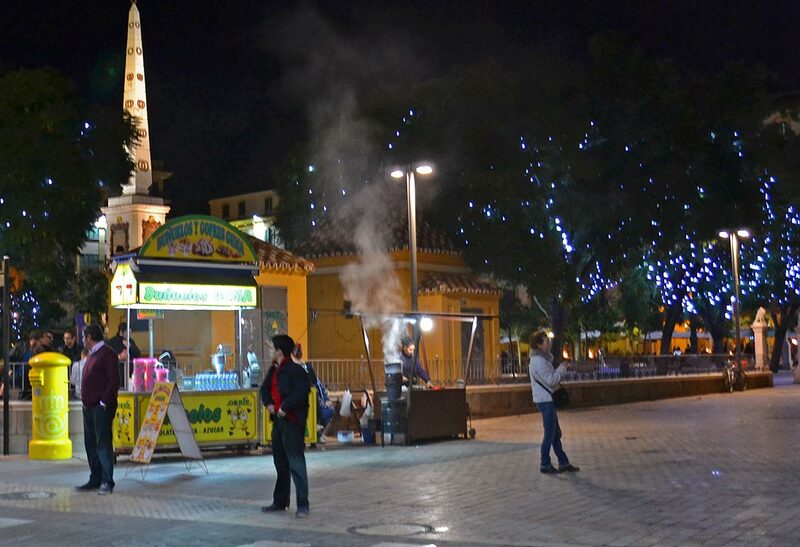 Roasted chestnuts are sold everywhere. 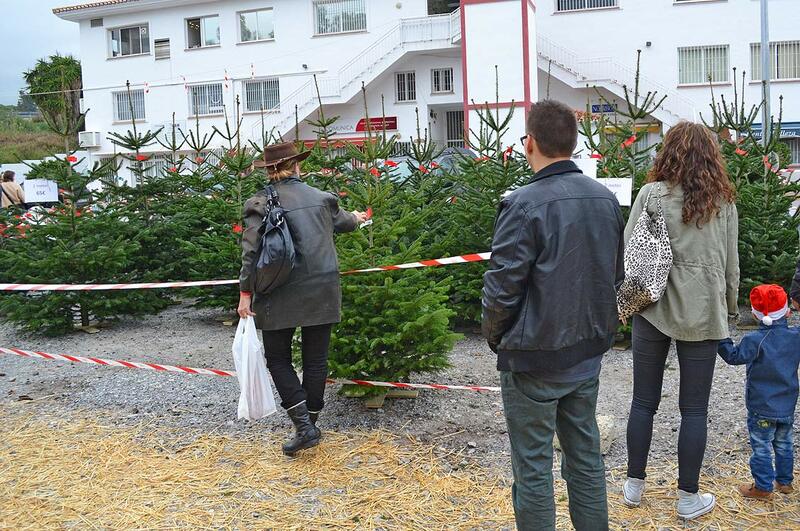 Christmas trees are sold in many places. 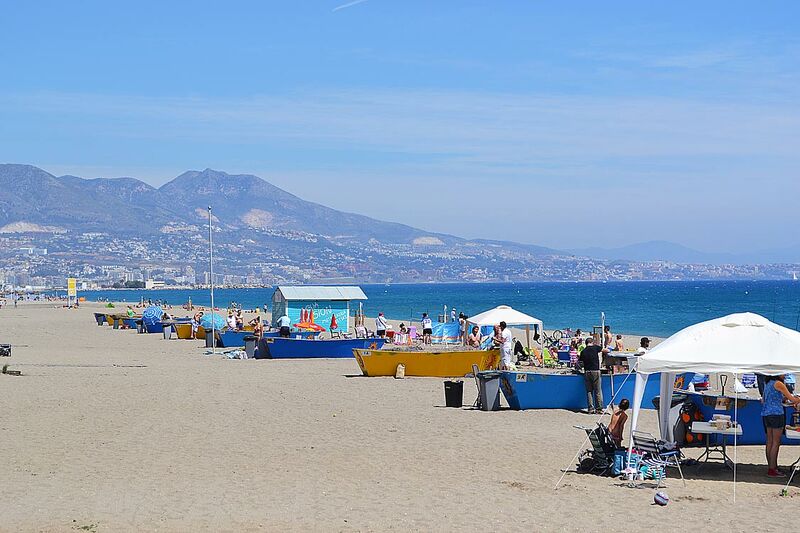 a beach in Fuengirola. 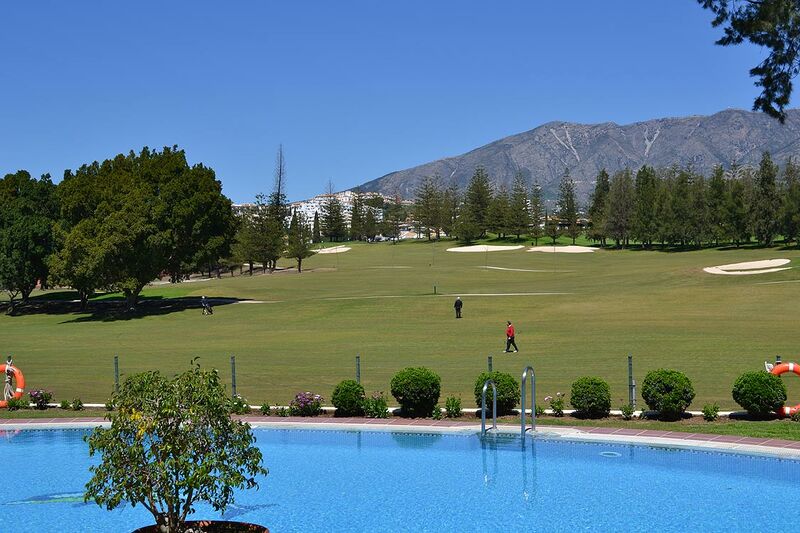 Plenty of golf courses, this is Mijas Golf. 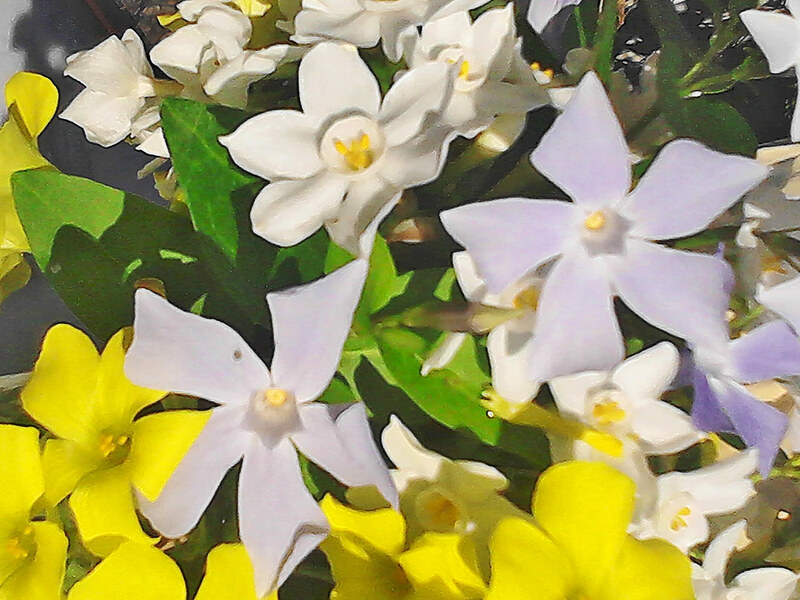 This is a season with plenty of flowers. Christmas in Spain is very comprehensive and lasts until Epiphany when the Spanish kids get their Christmas gifts, then Christmas is over. If you are interested in visiting us here on the Costa del Sol then I recommend the strategically located Hotel Tamisa Golf. But if you are thinking of buying a property then you should have a talk with Nick or David on MPA Homes. After that you may want to speak with Tore Line, our local removal company. If you have questions about pets, talk to our Scandinavian vet Susanne Kamu. The Christmas oranges are ready for harvest, a recent image from the orange grove outside our window is found below. NOTE! We have changed the mail address, see our new address on our Contact Page.